Some might recall my dalliance with Almay’s foundation that ended in disappointment. I’m thrilled to report that I have a new love and I think this time it’s the real thing: Neutrogena’s Healthy Skin Enhancer foundation. When I first saw the color selection I wasn’t going to bother: even their lightest shade looked way too dark for me. But for under $10 what did I really have to lose by trying it? I am SO glad I gave it a chance! The Good: It’s delivered from a pump, allowing you to control how much you use. It went on smoothly, evenly and felt GREAT on my skin; unlike a lot of other foundations you really don’t feel any thickness or oiliness, even after a full day of wear. I would classify the coverage as sheer to light. It has an outstanding SPF rating of 20 which comes in part findviagra from Titanium Dioxide. Best of all, it includes Retinol! I tend to have sensitive skin and some retinol products can cause flaking and redness for me, but I had no problems whatsoever. Oh, and did I mention that it’s under $10?? The Questionable: I have to quibble with their advertising: it isn’t “an alternative to foundation”, it’s a foundation. But my only real beef with it is the lack of color selection – 6 shades. I imagine there are women with darker skin for whom this simply wouldn’t be an viable option. And it shares the same drawback all drugstore cosmetics do: you really can’t try it out before you take it home, so the color match is a guessing game. The Verdict: I have been using this foundation for two weeks and I really don’t want to give it up! I didn’t think I’d ever find one I liked better than Bobbi Brown’s Tinted Moisturizer, let alone at such a great price! 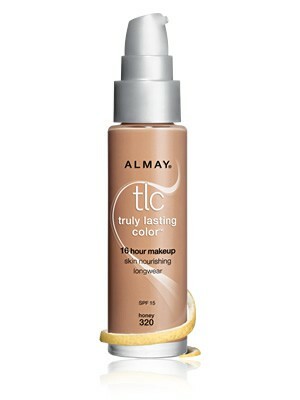 If you’re looking for a great foundation at a great price, definitely give this a try. As a [pseudo]scientist I’m committed to reviewing one last foundation before I settle down, however. That foundation is Cle de Peau. And for the price it had better rock my world. Stay tuned…. This entry was posted in Vanity and tagged Almay TLC Foundation, beauty on a shoestring, Bobbi Brown, Cle de Peau, foundation, make-up, Neutrogena Healthy Skin Enhancer, review, sunscreen, top rated on October 9, 2011 by Wendy. I think I’ll try it. I have such dry skin that it’s been really hard (and pricey) to find a foundation that doesn’t make my skin flake, even with thick and powerful moisturizer. However, I think at that price, I’m willing to give it a shot. Might need some honest feedback from a friend at some point. Do you think that this would be good for acne-prone skin? There’s nothing in this product that’s likely to make acne worse, unless you have an allergic reaction to one of the ingredients. I’m embarrassed to admit that I’ve slept in it on more than one occasion, and I haven’t experienced a breakout like I would with other products. It’s relatively inexpensive so it’s worth a try, and if you DO find it exacerbates breakouts definitely take it back! Btw, I’m still using this foundation, haven’t stopped since this post. I love it. That’s exactly the reason to wash your face no less than 3x day, @ the very minimum. Morn, night & if at all possible, early afternoon. You can still re-apply your makeup. Just wash it off @ bedtime. I’m not sure, Yvonne. Here in the US, Neutrogena products are sold in our grocery stores and drugstores. I also see that Neutrogena is sold online on Amazon. Good luck finding it and thanks for reading! Hello Wendy, I too am trying to find a less costly alternative to my J. Iredale foundation. Like you, I have very fair skin and usually choose the lightest available color. So what did you end up choosing from the Neutrogena line? Thank you and I really enjoy your blog!